One of the most important decisions facing a new business owner is the acquisition of insurance for the business and for employees. To determine what insurance you will need, you need to understand the potential risks your company faces. Federal or local laws may require you to have certain insurance coverage, as might a contract. A competent business planning attorney can give you advice on these topics. 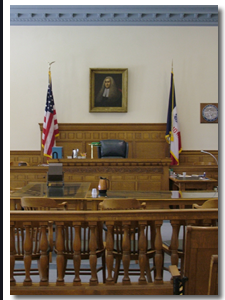 Contact an Iowa corporate / business lawyer representing clients in Charles City, Iowa today to schedule your initial consultation. Commercial Multi-Peril or Business Owner’s Policy. This is a standard policy that covers property damage, liability, business interruption, and sometimes workers’ compensation. Some businesses are not eligible for this policy. Property Insurance. Property insurance covers your business against financial losses resulting from physical damage to your property from fire, lightning, wind, storms, or vandalism. It can also protect personal property such as art, furniture, materials, or inventory. General Liability Insurance. This policy covers you against losses when your business is legally responsible for damage to someone’s property or health. Business Interruption Insurance. If your property is damaged or lost and must close for a period, this policy protects you against losses. It also covers losses incurred to avoid or minimize time spent closed. Product Liability Insurance. This protects you against losses incurred when your product harms a user or the user’s property. This insurance is vital for any business that manufactures or supplies products. Malpractice or Professional Liability Insurance. This insurance protects the business against claims of error or negligence. Depending on your business and the state you reside in, this may be required by law. Business Vehicle Policy. This policy protects vehicles owned or used by your business. You may need special coverage if your employees use their personal vehicles for work. Health Insurance. In some cases, you can save costs and provide better service to your employees by offering a group health insurance plan. Workers’ Compensation Insurance. This covers employee wages in case of accident or injury. In many states, this coverage is required by law. Also, some states require businesses to purchase workers’ compensation insurance from their own government. Life Insurance. Life insurance can be invaluable in providing for your family and loved ones. Disability Insurance. Disability insurance can be used to cover you or an employee if injury or illness makes it impossible to work. Keyman Insurance. If a key employee is unable to work or dies, keyman insurance covers revenue lost or the cost of replacing the employee. Insurance is a key protection for your new business. You should consult an attorney with experience in business planning for assistance in setting up new insurance policies.